The 2014 Tesla sits on top of the plug-in vehicle segment with an increasing number of electric cars hitting the market. The luxury, mid size, five door hatchback is firmly at the pinnacle of the green car pyramid as it combines an elegant design, immense acceleration and a leading safety rating. With the luxury design of the Tesla evolving dramatically, it’s no surprise that owners are looking for equally matching, luxury tires. 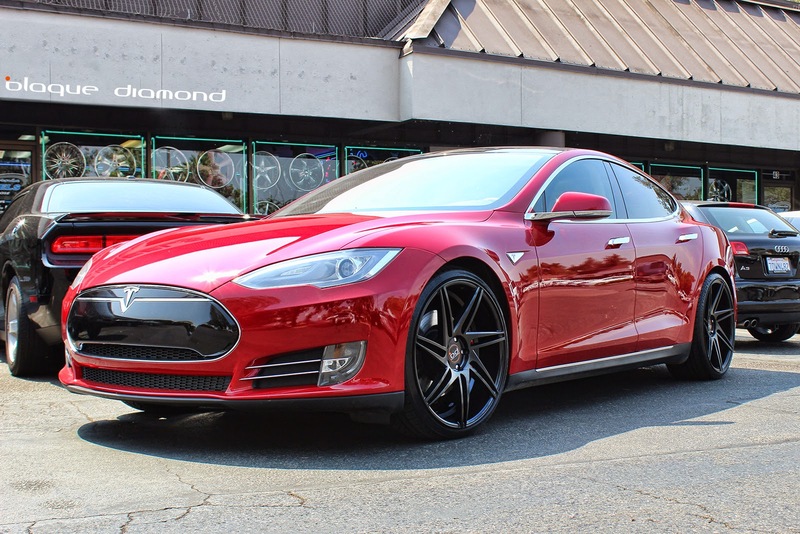 When Tommy the owner of California Wheels in San Jose was asked to fit wheels on a Telsa, we were excited that he chose the 22 inch BD-1 rims in semi gloss black. The standard rims on a Telsa are 19 inch, but with a sleek car design and 270kw output at the rear wheels, the BD-1 rims perfectly compliment the Telsa’s design and appearance. The aesthetics of this car fitted with the rims give it a vast divergence to the typical curbside and diving appeal. The Chrysler 300C has made almost as many comebacks as Madonna. And we are glad it does. 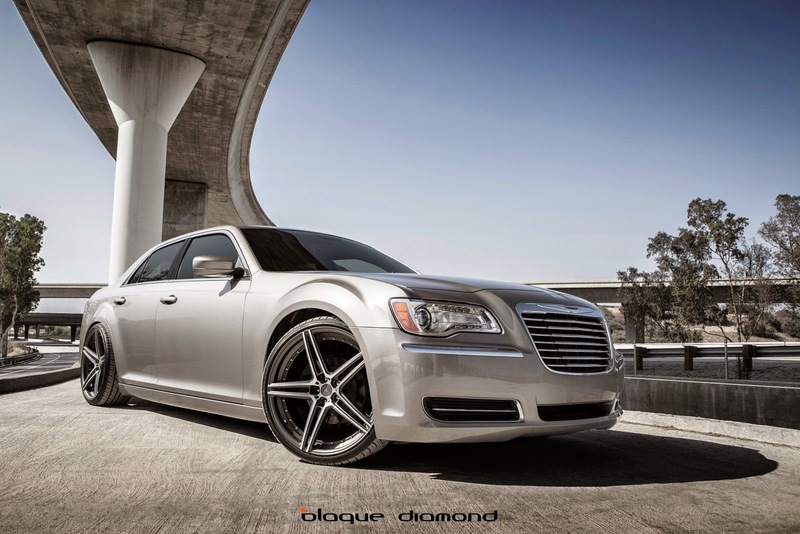 The 300C styling is unmistakably American, with its large chrome grill, high bentline, bulging fenders and big wheels. It makes for an unquestionable presence on the road. A car like this only deserves the best aftermarket rims out there. When presented with this Chrysler, we were excited to fit our 22 inch BD-6 wheels in machine graphite on it. “My Chrysler 300C is an all American car. I wanted the wheels to represent that and remain masculine. The BD-6 rims did exactly that. As soon as I stepped into the car after the wheels were fitted, I could feel the difference in balance and power. They perfectly compliment my car,’ said the owner John. The sleek and modern muscle car now pushes out 363HP to the 10 inch wide rear wheels! This is definitely putting the power to the pavement. Check out our Chrysler gallery to see a range of applications on a variety of models. The Lexus IS250 is modest yet sporty sedan with comfort, luxury and outright refinement. When Kelly came to us with her Lexus, she wanted something to redefine the standard look and give it an eye catching set of wheels. 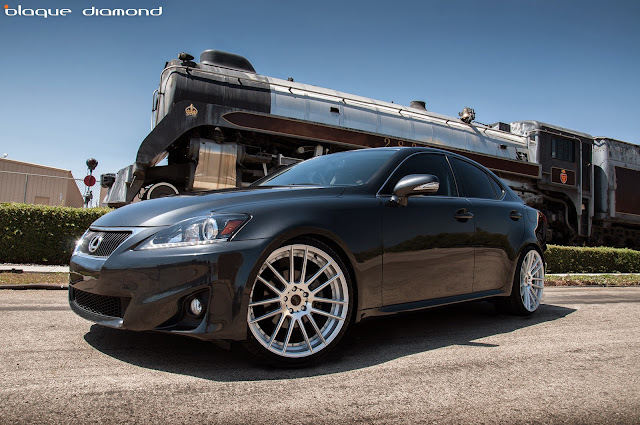 We fitted the Lexus with 20 inch BD-4 wheels in silver polish to compliment the gunmetal grey body and make a noticeable addition. Check out ourLexus galleryto see a range of applications on a variety of models. Jaguar is synonymous with cultural luxury. The XJ boasts a contemporary design, impeccable craftsmanship, modern amenities and a sparking performance. 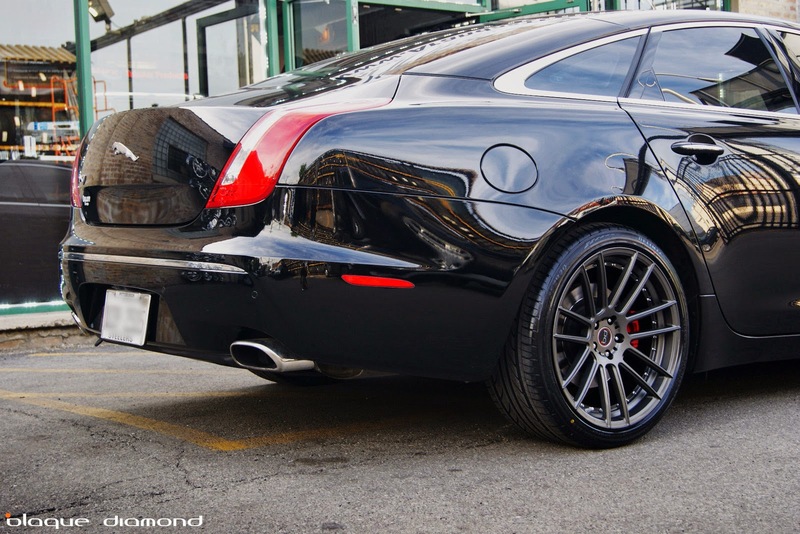 So when the guys at Arandas Tires and Rims wanted a new set of wheels for their Jaguar XJ, we knew that we had to fit wheel with spectacular opulence. The 2012 Infiniti G37 is one of the most responsive, communicative, and fun-to-drive sport sedans in its class. Infiniti's 3.7-liter V-6 is a raucous yet luxurious car that has enough muscle to satisfy rabid performance enthusiasts. We put on the BD-6 rims in 20 inch machine graphite. This gave the G37 a sense of satisfaction that’s usually relegated to track ready sports cars, while providing enough practicality to pinch hit for family duty. “The BD-6 wheels give the GT37 a contoured look with yet an aggressive form and stance,” said Bob. Check out our Infiniti gallery to see a range of applications on a variety of models. Rick came to us after upgrading from a 2010 E350 to a white 2012 CLS550. The CLS550 came stock fitted with 19” AMG wheels. Rick wanted something to customize the look of his Mercedes while still keeping the practicality of every day driving. We suggested the BD-6 rims in 20” silver with the polished finish to compliment the color, look and design of his car. The BD-6 rims are a lightweight, one piece construction with a deep concave design and present a step-lip undercut. Due to using his CLS550 as an everyday car, these wheels are the best head turning design while offering the durability that is required.